Here at Babybib.net we are a leading provider of One2Wear™ wholesale blank baby bibs. Our blank bibs have been used by leading organizations like the US House of Representatives. No matter how large your wholesale blank bib order may be, we can accommodate you and your event. One2Wear™ is on the cusp of clothing and baby bib manufacturing. Our partners’ quality products allow us to pass that quality along to you, our customers. One2Wear™ blank bibs are not only durable yet comfortable, assuring that your baby bib promotional items are a huge success. Does your organization have an upcoming event, promotional exhibit, food drive or blood drive? A way to break away from offering promotional pens, t-shirts etc. is to consider wholesale baby bibs. Blank bibs allow you to custom design a logo, message or design right there on the bib. Our clients have reported that utilizing wholesale blank bibs for their campaigns allows them to appeal to a more empathetic side of their community, followers or attendees. A baby bib is used every day by the one member of their family who requires the most attention and love. Catering your give away item to this little member of the family often times conveys that your organization cares very much for the families you serve. Wholesale blank baby bibs are also a phenomenal way to make a deeper connection with your organization’s employees. What better way to thank them for their hard work than to craft a blank baby bib with a heartfelt message? 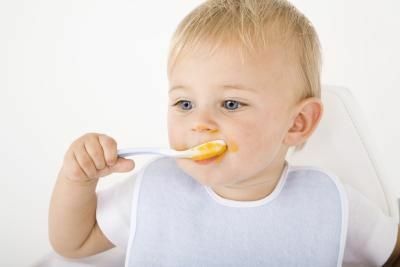 If they themselves do not have a baby at home, they will most certainly pass that once simple blank, wholesale bib along to someone in their family who can use it. We deal with orders in the thousands. If you are looking to order one or two wholesale bibs than unfortunately we at Babybib.net cannot help you at this time. Our specialty is catering towards large organizations and events that need many hundreds if not many thousands of wholesale blank bibs. These large orders often times allow us to negotiate very fair prices and pass those savings along to you. Wholesale bibs are thus a cost effective way of offering a very effective and impactful promotional item. Many past clients have reported that the effectiveness of the bibs far surpassed the price tag-which was very reasonable to begin with. Aside from the known effectiveness of using baby bibs for campaigns, fundraisers, promotions etc. the famous high quality offered only by One2Wear™ assures that you are giving away a solid, quality item that is going to last. Many events give away free items that last a week but then tear or break. The consumer throws the item away and the event is slowly forgotten. With quality wholesale blank baby bibs from One2Wear™, you need not worry about the bib tearing, and thus losing its original appeal. One2Wear™ offers a high quality wholesale blank baby bib that will last for years, and potentially even be used by multiple babies! If you have a big event approaching quickly, then please give us a call. We can help design a wholesale blank baby bib for your fundraiser or promotion, and help assure that your event will be a huge success.